Singapore – At Raffles, students not only learn outside of classroom, they are also given opportunities to learn beyond Singapore with industry professionals overseas. 12 Raffles Fashion Marketers attended the Hong Kong Fashion Week from 19 to 21 January 2015 where they watched fashion shows featuring designers from across Asia. They also visited trade shows to explore suitable suppliers for their fashion pop up store at Raffles Singapore’s campus in March 2015. They even attended seminars conducted by industry professionals such as Creative Director of H&M and buyers from Urban Outfitters. The highlight was when they visited the Headquarters of Lane Crawford and interacted with professionals to learn more about their working experiences, challenges and what to expect in the Fashion industry. 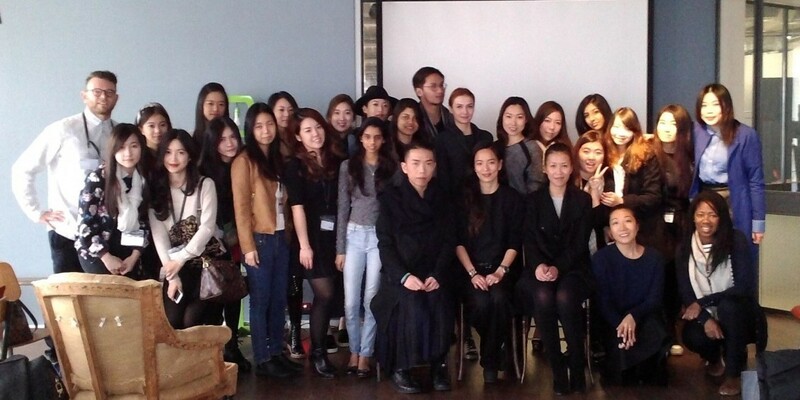 Raffles Fashion Marketers also met up with students from Raffles Hong Kong for a cultural and informative exchange. The trip exposed them to real-life challenges in sourcing suppliers, procuring products, attending an exhibition as a supplier, and creating attractive booths and marketing collateral to attract customers. Given the vast number of suppliers available at the trade shows, they have learnt how to carefully consider and analyse different suppliers before choosing the right one. “This trip was beneficial to my students as they could visit a fashion capital and understand the purpose of trade shows. Through this trip, they had a chance to network with buyers and industry professionals from Asia and beyond, helping them to understand the working situations in the fashion industry.” said Raffles Singapore Creative Practitioner Anisa Johnny.